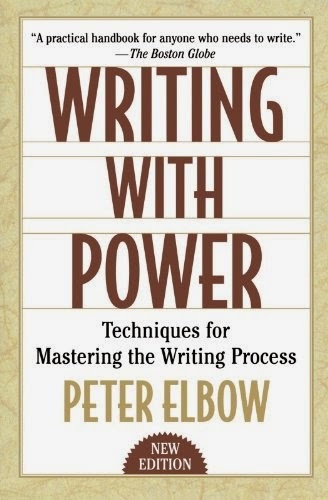 A classic handbook for anyone who needs to write, Writing With Power speaks to everyone who has wrestled with words while seeking to gain power with them. Here, Peter Elbow emphasizes that the essential activities underlying good writing and the essential exercises promoting it are really not difficult at all. Employing a cookbook approach, Elbow provides the reader (and writer) with various recipes: for getting words down on paper, for revising, for dealing with an audience, for getting feedback on a piece of writing, and still other recipes for approaching the mystery of power in writing. In a new introduction, he offers his reflections on the original edition, discusses the responses from people who have followed his techniques, how his methods may differ from other processes, and how his original topics are still pertinent to today's writer. By taking risks and embracing mistakes, Elbow hopes the writer may somehow find a hold on the creative process and be able to heighten two mentalities--the production of writing and the revision of it. From students and teachers to novelists and poets, Writing with Power reminds us that we can celebrate the uses of mystery, chaos, nonplanning, and magic, while achieving analysis, conscious control, explicitness, and care in whatever it is we set down on paper.